Sparkling like the ball dropping at Times Square on New Year’s Eve, these OREO Cookie Balls are a delicious treat for your end of year party. Have you started planning your New Year’s Eve party yet? I have a special recipe idea for you today that’s sure to wow your guests and dress up your cocktail party buffet. There are so many wonderfully creative and festive recipes that involve OREO cookies for desserts and party treats, but have you tried OREO Cookie Balls? 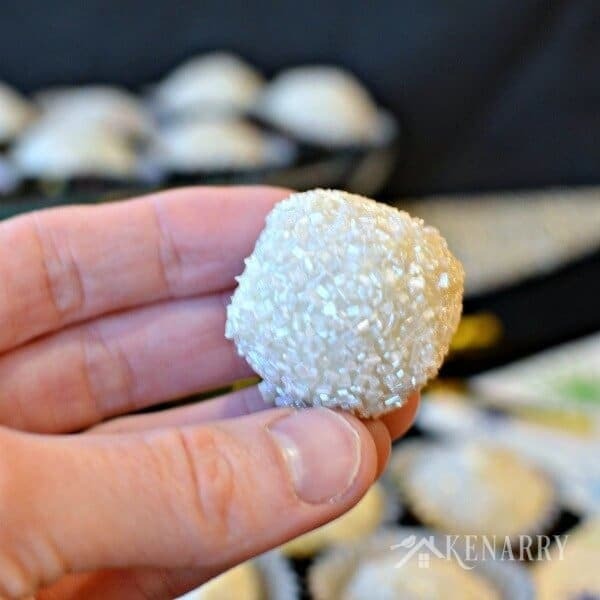 Today I’m sharing the original OREO Cookie Balls recipe with a twist that makes them sparkle like the ball dropping in Times Square on New Year’s Eve. Now that’s a delicious treat to help you ring in the new year! Where I grew up in the Eastern Time Zone of the United States, the new year doesn’t officially start until the ball drops on Time Square in New York City. For as long as I can remember, the tradition has always been the same no matter where I am or who I’m with on New Year’s Eve. When it gets close to midnight on December 31st, we have to flip on the TV and switch to whatever station is hosting New Year’s Rockin’ Eve. Then we watch in excited anticipation as the big clock in the corner of the screen shows the minutes remaining until the new year. When it finally gets to the last 10 seconds, it’s like we’re magically united in space and time with all the revelers in Times Square and throughout our entire time zone. In loud unison, we count down those final seconds as a big glowing white ball drops to signify the end of one year and the start of the next. It’s just a clock and a big ball on TV, but at that specific moment in time, there’s an exciting adrenaline rush filled with hope and new beginnings. Magical moments call for special treats, don’t you think? The ball dropping on Times Square in New York inspired me to create these special OREO Cookie Balls. The shimmery candy coating dresses them up for a party whether you’re celebrating with a few close friends or everyone in your time zone. OREO Cookie Balls are delicious and incredibly simple. 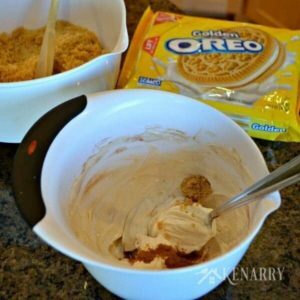 There are really only three ingredients in this recipe, all of which you can find at your local Walmart: OREOS, cream cheese and chocolate. The official recipe uses regular chocolate OREOs and semi-sweet baking chocolate. I decided to spice mine up a little for New Year’s Eve, but here’s the original version of the recipe. 3. CUSTOMIZE it with your own ingredient additions or decorative skills. 4. REFRIGERATE 1 hour or until firm. Share and enjoy! 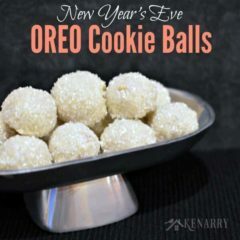 For the sparkly New Year’s Eve version of OREO Cookie Balls, I replaced the semi-sweet chocolate with white chocolate. I also used Golden OREOs instead of regular OREOs and added a little brown sugar and cinnamon. Then I rolled them in white sugar sprinkles to make them shimmer like the ball dropping at midnight over Time Square in New York City. Use a blender or food processor to crush the Golden OREOs into fine crumbs. 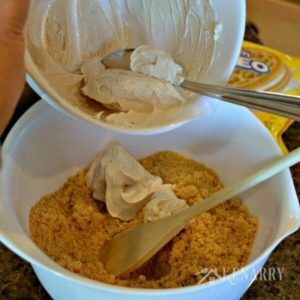 In a small bowl, combine the cream cheese, brown sugar and cinnamon. 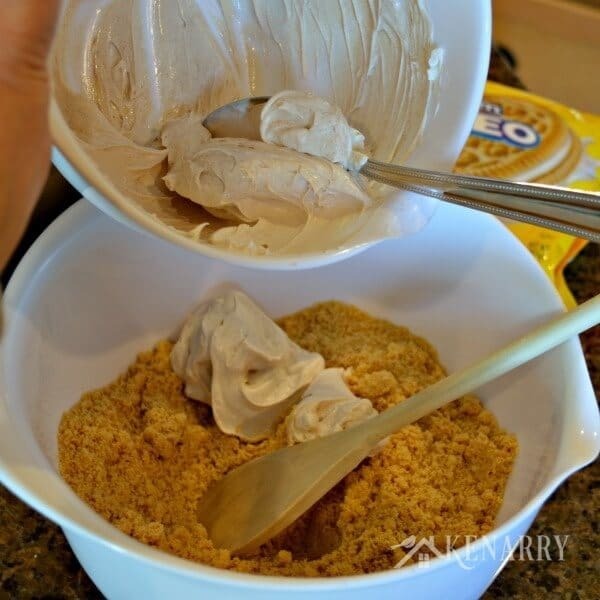 Mix the cream cheese and OREO cookie crumbs until blended. Make 48 balls about 1 inch in diameter. Freeze the balls for at least 10 min. Melt the white chocolate. I like to use my fondue pot on a low temperature so the white chocolate stays melted. Dip the balls in melted white chocolate and place them in a single layer on a shallow waxed paper-lined pan. 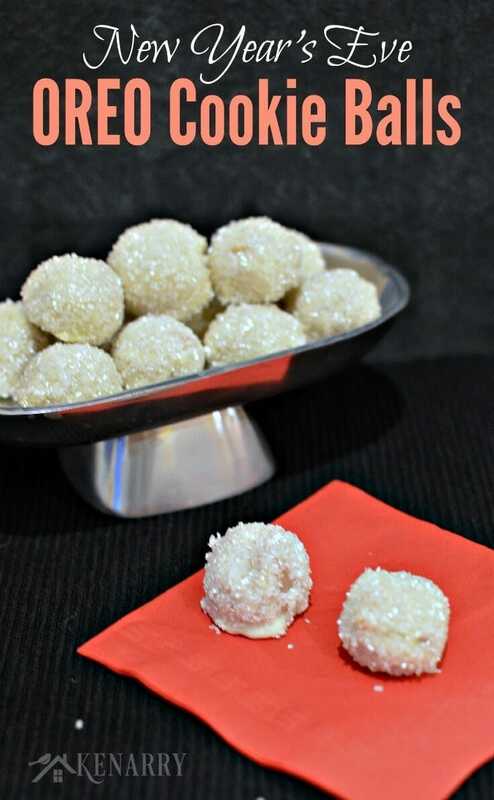 After 5-10 minutes, dip the white chocolate covered OREO cookie balls in shimmer white sugar sprinkles to coat them evenly. Refrigerate the OREO Cookie Balls for one hour or until firm. Serve to your party guests and enjoy as you countdown to midnight! 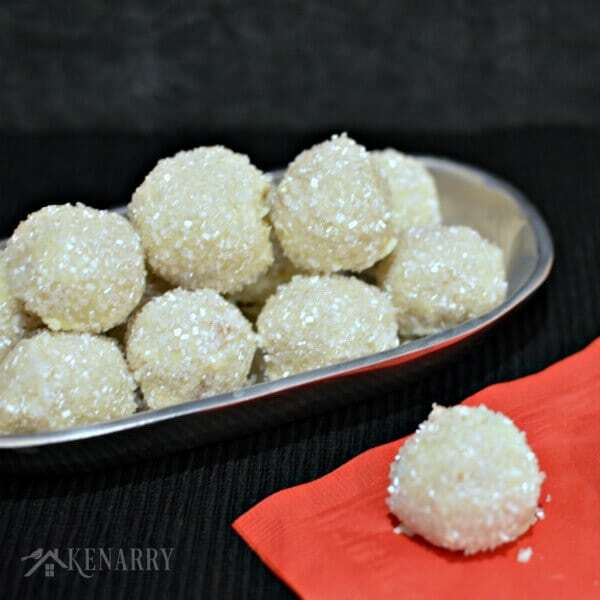 After you coat the OREO Cookie Balls with white chocolate, the trick is to allow the white chocolate to harden slightly before you roll them in sprinkles. Just don’t wait too long that the white chocolate completely hardens. If you use white almond bark in place of the white chocolate, don’t wait very long before dipping in the sprinkles or the coating will harden entirely. 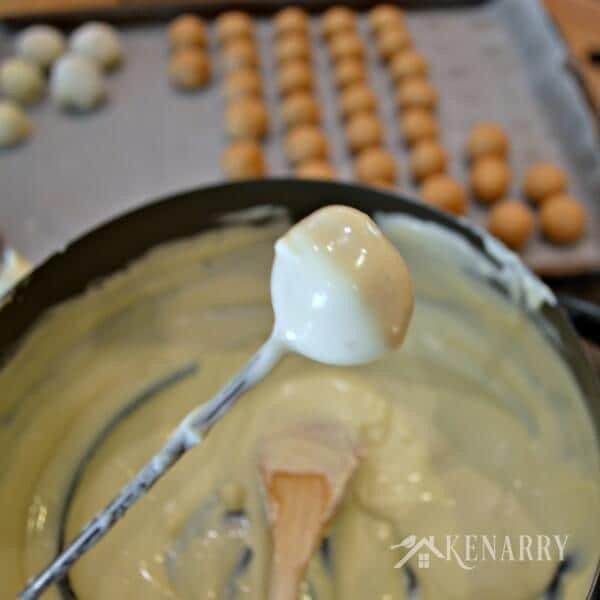 Use a fondue fork to dip the OREO Cookie Balls in white chocolate if you like to keep your fingers clean. You can even rest the fondue fork across a drinking glass or jar after you dipped it. This will allow the white chocolate to drip off for a few minutes before you transfer the OREO Cookie Ball to the wax paper-lined pan. If the white chocolate pools around the bottom of the OREO Cookie Balls, serve them in festive mini-baking cups. It will hide the flaws and your guests won’t even notice! How do you ring in the New Year in your part of the world? Please comment below and share. We always love hearing about traditions in other cultures and communities. these look so delicious! 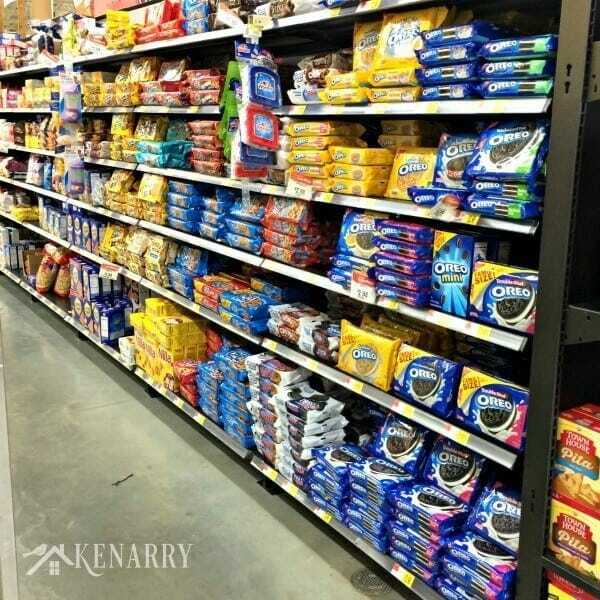 i am all about anything oreos! 🙂 pinning! Thanks Gail! It’s very tasty with the Golden OREOs. 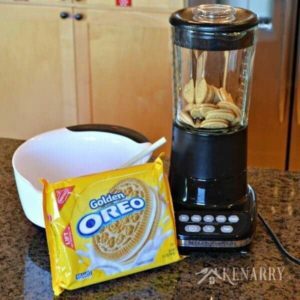 Did you know, though, you can actually use any flavor OREOs with this recipe? Thanks Summer! I love that idea for the OREO Cookie Ball countdown to midnight. 🙂 Happy Holidays! Thank you for this amazing yummy idea! I made these on New Year’s Eve… both golden and original…loved by all! 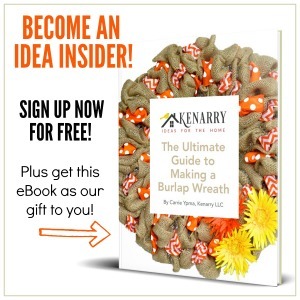 Fun to make! Mona, you made my day! I’m thrilled to hear you made these for your New Year’s Eve celebration – and love that you took the time to let me know too. Here’s to a wonderful 2016 — Cheers! How far in advance can these be made and what is the correct way to store them? Great questions! Because of the cream cheese, OREO Cookie Balls need to be stored in the refrigerator. They last for quite a while. If you can resist eating them, I would think you could make them a week or two in advance, maybe even longer. I just made these and I forgot to add the brown sugar and Cinnamin. Hope no one noticed!! 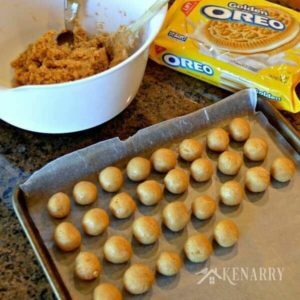 Jeanmarie, the OREO cookie balls will still be delicious without those two things. Trust me, NO ONE will notice! Happy new year! 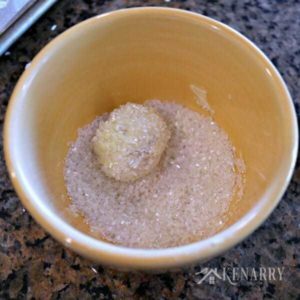 I really appreciate you posting this recipe! I made a variation where I added lemon juice and lemon zest. So fun! Oh yay! How did they OREO Cookie Balls turn out with the lemon? I bet they were delicious! 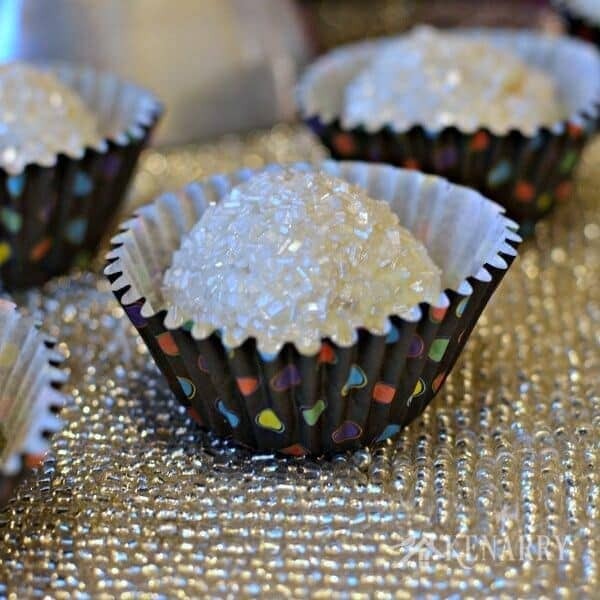 I made these for New Year’s Eve with the brown sugar and cinnamon as you recommended, and they were delicious! The only problem is that they were all eaten at the party in about 15 minutes so there’s nothing left for me today. 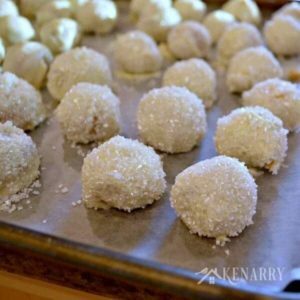 Thanks for this variation of the Oreo cookie balls recipe—they really did look festive for the new year. Oh hooray! I’m so glad the OREO Cookie Balls were such a big hit at your party last night. Gone in 15 minutes! That may be a new record. Thanks for swinging by today to let us know how the recipe turned out for you.